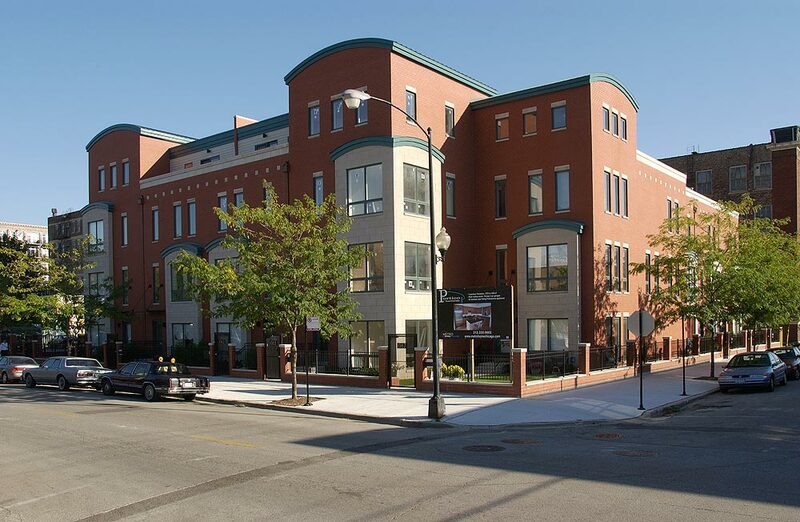 Portico Townhomes: Located in Chicago’s “West Loop” area, this twelve unit townhome development features four unit type layouts to choose from, all with a two car garage, three bedrooms, and a rooftop room, with access to a semi-private roof top deck. The overall plan was designed in a “U” shape in order to address the corner lot, and allow nine of the units to have front entries directly off the public sidewalks. 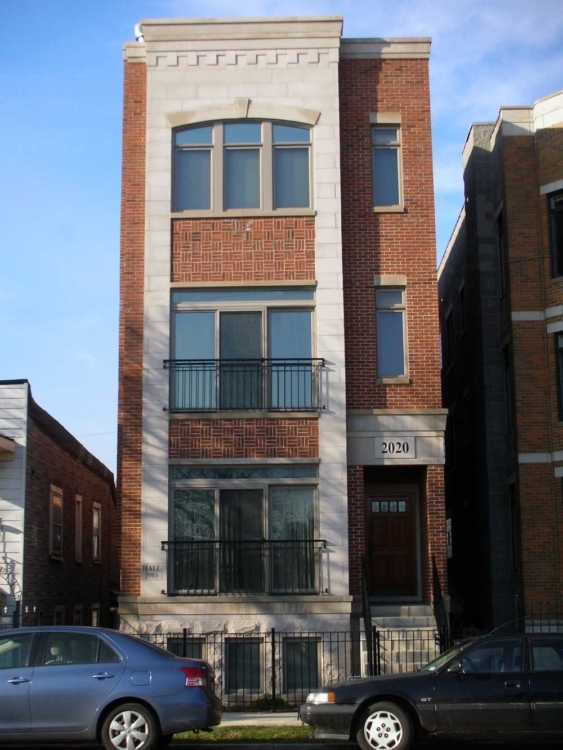 Wood Street Development: Located in Chicago’s “Bucktown” neighborhood this three story plus basement structure is only two units. 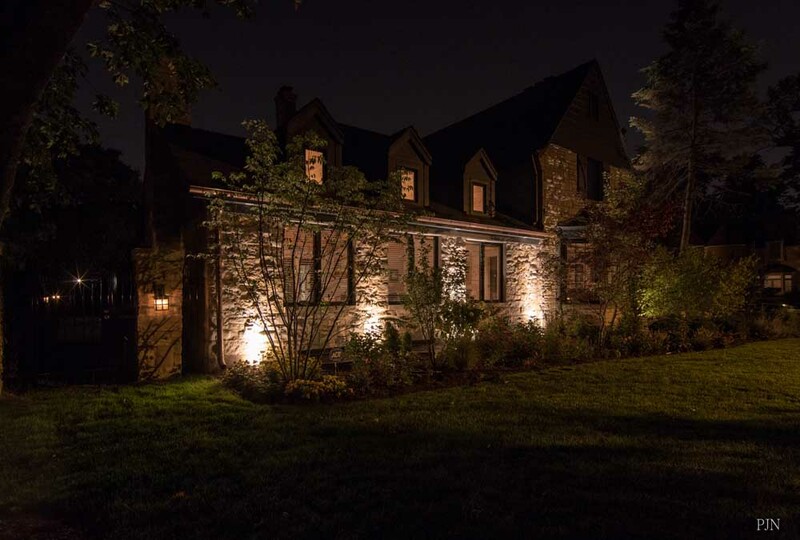 The first floor duplexes down to the basement, and the second floor main living area duplexes up to a third floor that has all the bedrooms. This two unit masonry building captures great downtown views with full height French doors that open out along steel juliet balconies. 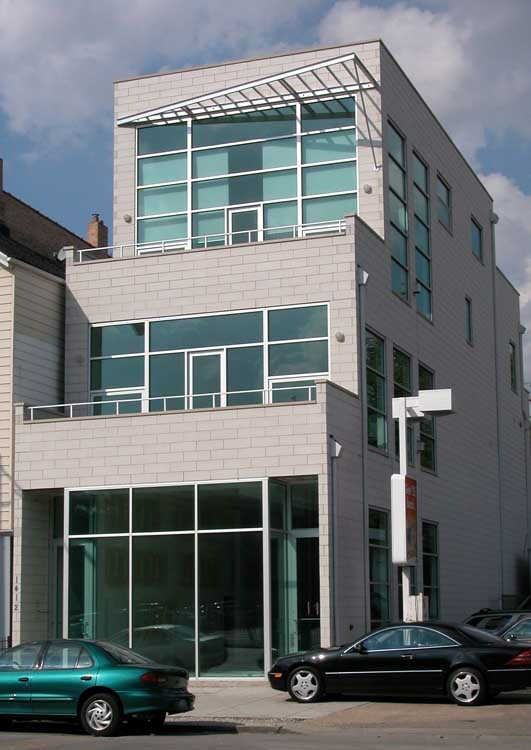 West Division Street: Located on a busy Chicago street, this structure was designed to accommodate a first floor retail space and two residential units above. The four story structure has one simplex unit located on the second floor and a duplex unit on the third and fourth floors. The duplex unit features a soaring two story living room with a glass wall reaching twenty feet up. Green tinted glass set in an aluminum frame work complement the very simple clean lines of the stone façade. 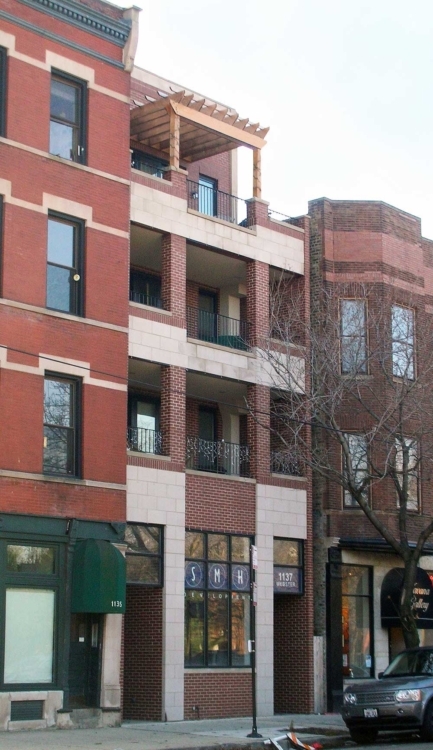 West Webster Development: This four story masonry building is an infill project in the heart of Chicago’s DePaul neighborhood. There are three simplex type units over a first floor commercial office tenant. Each residential unit features a walk out balcony the entire width of the building that overlooks the park across the street.